Class. Most of us spend our entire teenage and early adult life trying to get out of it, only to realize that going to a class and learning something new is a walk in the park compared to a life with bills, professional responsibility, and a generally over-obligated existence. But Classtivity has an answer: a class. See, founder Payal Kadakia was a dancer her entire life, before attending MIT. But she realized after leaving these worlds that she missed dance, and looked to find a local ballet class to get her groove back. She realized, to her own dismay, that there really wasn’t a service that aggregates various class information on a local level, so she built one. 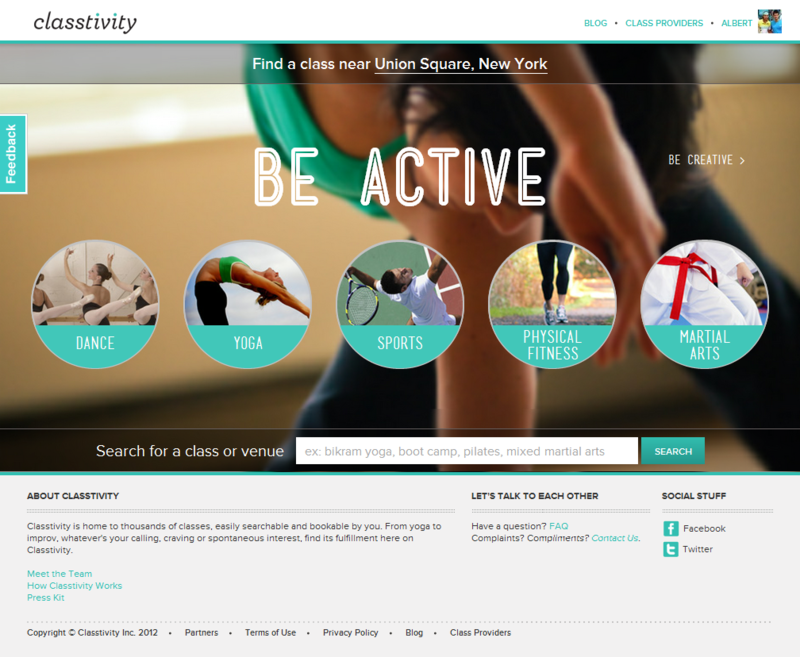 Classtivity pulls in information from throughout New York for 8,000 leisure and fitness classes per week. This includes anything from dance, yoga, sports, physical fitness, and martial arts, to photography, cooking, arts and crafts, beauty and fashion, and music and vocal. Users can choose classes based on their own filters, like location, interest, schedule, and price. Users will be privy to expert reviews, ratings and reviews, and even sign-up for optional class reminders through email, calendar and text message. They’ll be able to browse venue-specific commentary in a feature called “Expert Says” and check out teacher profiles for various classes. Social is also built in to let users share classes and follow their favorite class providers, all of which provides an easy environment to stay motivated. Most importantly, Classtivity offers a portal to book classes through the site itself, for select classes. This is the crux of the company’s business model, as Classtivity will take a percentage of every transaction. If Classtivity proves to be a success with end-users, scalability shouldn’t really be an issue. If a certain gym or organization isn’t set up to perform bookings through Classtivity, it only takes a couple handfuls of new users getting filtered into classes through the service for that gym or organization to realize that the system can be just as beneficial to them as it is to the class-takers. The private beta is currently in New York City, but the company has plans to move into Los Angeles and San Francisco later this year. The secret sauce, as Kadakia told me, is the ability to aggregate the most classes in the fastest way possible, allowing for national scalability at a rapid pace. In fact, Kadakia claims that Classtivity has the ability to offer a half a million classes nationwide every month. Check out all of the cool stuff that came out of this season’s TechStars NYC Demo Day here.